On early morning walkabout the moon and stars were out, casting silvery light on me and everything. Yesterday a thin layer of ice rested on the lakes, its mirrored surface perfect for skating if it thickens. Based on the forecast, we’ll see more open water soon. When our daughter was a grader and the lake froze we’d don ice skates and cut a path all the way to the other shore. When snowmobiles plowed by we could feel the ice moving up and down taking us with it. 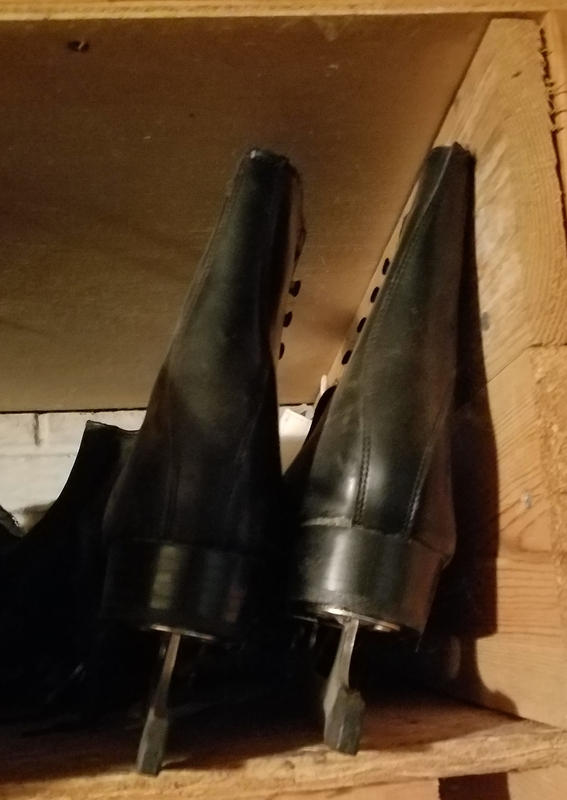 We keep the skates on a shelf in our garage. We live in a cold middle place where it’s not quite winter and not warm enough to work long outside. Our attention turns inward and to the possibilities of next year. The best part of the coming holidays is people engage in things. A calm quiet falls over the Johnson County Lake District. If it were snowing one could hear flakes fall. It’s a time for planning and writing here in Big Grove. What few fresh vegetables are left in the ice box will soon be eaten up… well, except maybe the turnips. I’ve been watching videos of Indian street vendors making gigantic woks of chicken fried rice. There’s a tub of leftover rice and plenty of eggs so I’ll try that for lunch or supper. I forget eggs are chickens. And so it goes. Vonnegut taught us death can be absurd, tragic and predictable. It seems mostly random and will eventually take us all. I’d like to get back out on the ice and cut its clear, smooth surface in long figure eights. I’d watch fish swim through the ice and hope the crazing wouldn’t result in my going to live with them. Not yet anyway. The hope of this holiday season is we can do positive things next year. Isn’t that always the case? So it goes, and here we go. Gliding along the surface until we take a plunge, hoping for a resurgence of living each moment as best we can. That’s optimistic. Increasingly, that’s who I want to be, who I am. This entry was posted in Environment, Writing and tagged #amwriting, environment, sustainability, winter, Writing. Bookmark the permalink.